From left: Shane Clifton, Julia Baird, Erica Hamence, Liz Mackinlay, Grant Paulson. “Men need to speak to other men about what a respectful marriage looks like,” a survivor of seven years of verbal, emotional, spiritual, sexual and physical abuse told about 300 people who gathered on Wednesday night to talk about how church communities can take action on domestic violence. 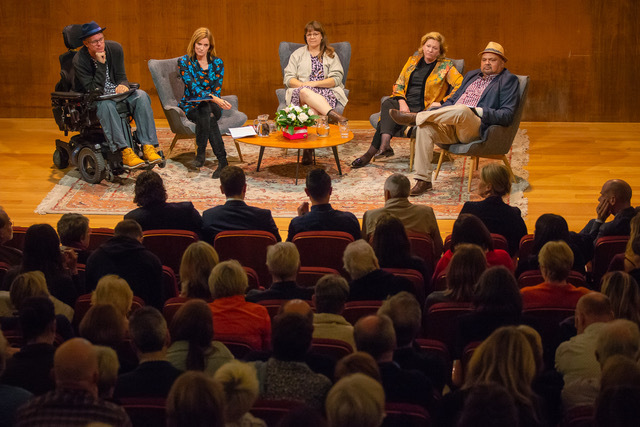 Attendees at Time to Act held at North Sydney’s Independent Theatre heard journalist Julia Baird and an expert panel discuss the action churches need to take in the wake of a sold-out forum last year, called Time to Listen. Between the two “Time to” events, much has occurred, notably the #MeToo movement, described by Julia as a “global reckoning” that had begun in the entertainment industry and reached even the church. “I really think there are red flags in the congregation [that indicate domestic violence might be occurring in a relationship.] It’s worth knowing what they are,” she said. Changes in mood, attendance at church events, or quickly leaving after an event can also be signs that someone is being abused. Discussing red flags that could alert church leaders and members, Erica Hamence, Associate Minister at St Barnabas Anglican Church in Broadway, Sydney, said it was important to know that all domestic violence situations varied and were complex, so that there were no hard- and-fast rules about what does and doesn’t indicate abuse. However, Hamence said, statistically, people who are LGBTIQ, have a disability or are from a cultural or linguistically diverse background are more likely to be victims of abuse. Changes in mood, attendance at church events, or quickly leaving after an event can also be signs that someone is being abused. She and other members of the panel noted that one of the signs of a perpetrator was when a husband controlled the narrative about his wife. For example, a husband might continually explain why his wife isn’t at a church or social event. He might confide in others (especially those in leadership) that his wife is having emotional trouble or mental illness, but this disclosure might never be heard from the wife herself. He may exhibit huge amounts of charisma, becoming someone who made “friends with everyone,” making it very hard for his wife to feel anyone would believe she was experiencing abuse if she disclosed it. Hamence noted that when Christian pastors had been found guilty of abuse, often their church members felt there were no red flags. In retrospect, though, Hamence had noticed that these pastors’ online profiles often included self-descriptive language such as “radical Jesus follower”, which suggests the church they lead is the “one group of Christians who are taking Jesus seriously.” This kind of egotism may also be another red flag, she said. Hamence is a member of the Domestic and Family Violence team at justice movement Common Grace, where she’s been involved in developing Safer, a resource to equip churches as they address domestic and family violence in their congregations. She says it’s important that Australian Christians remember that while Australian churches are recognising the need for change, there’s still a lot to do to achieve equality for women within the church. Shane Clifton, Director of Research at Alphacrucis College in Sydney, and Honorary Associate at the Centre for Disability Research and Policy at the University of Sydney, took up this thread. He observed that one thing missing from the debate following media revelations of domestic violence in the church was people facing up to the key theological issue of headship. It was not enough, he said, for church leaders to address domestic violence in their congregations only by “building other structures on the side” of a theology of headship or by articulating what headship “is not”. Instead, church leaders must be prepared to re-examine what the Scriptures have to say and teach and model relationships differently. And in the meantime, while men still had an unfair share of power in the church, Clifton called on men step back and make space for women by personally ensuring equal representation of women in positions of leadership and on the platform as preachers and speakers. Baird described the great cost some had paid by speaking up about domestic violence, including a woman who had been told she would “never speak in this diocese again”. “It’s the stories of women who get drowned out first,” she said. 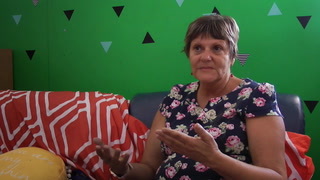 Panellist Liz Mackinlay, who works on the front lines at Mary’s House, a hostel that provides accommodation for women and their dependent children escaping domestic violence, agrees there’s still much to be done. Grant Paulson, Faith and Development Adviser for World Vision Australia, pointed to the subversive image of Jesus washing his disciples feet, which he described as “the work of a slave woman”, saying that it’s difficult for men to emulate Jesus in a church culture that only focuses them on being an ‘overcomer’. “We beat the shackles of our theological heritage and we beat the shackles of our cultural heritage,” he explains.